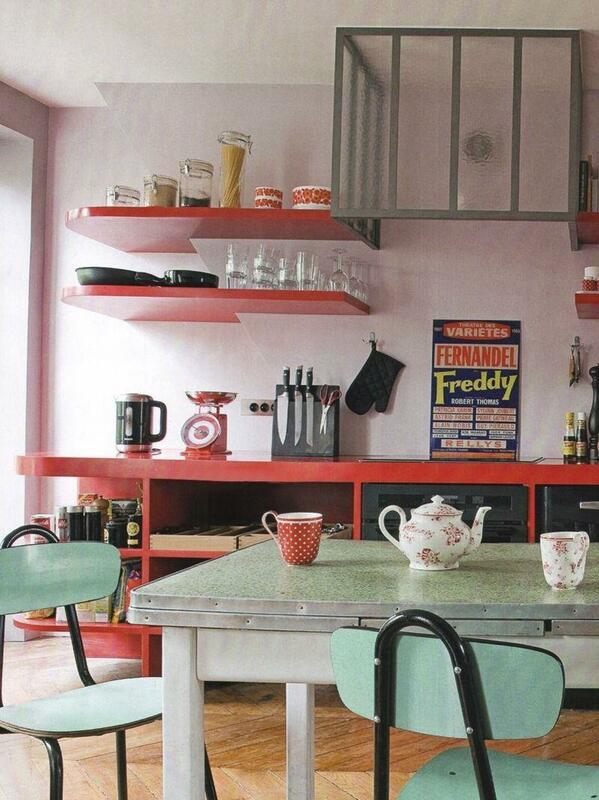 The bold primary colors of the décor in this retro kitchen really serve to create the look more than anything else. 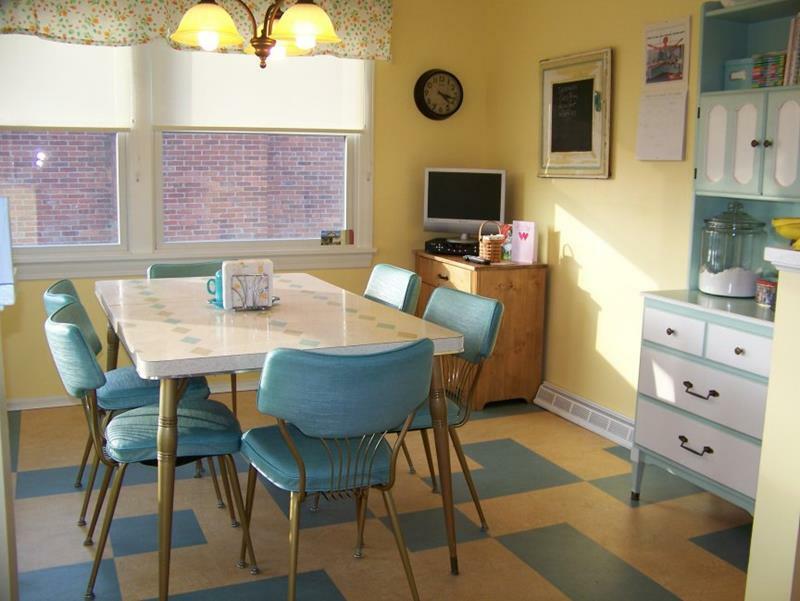 Aside from the color scheme of this retro kitchen design, there are a lot of small touches that complete the look. 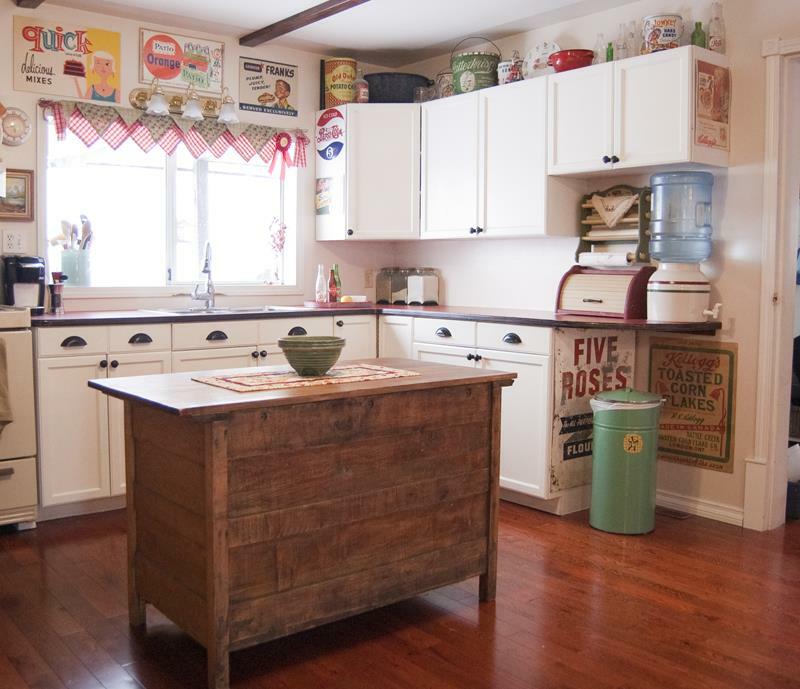 In crafting the retro design for this kitchen, the home’s owner selected a number of charming décor items to adorn the walls and cabinets with. 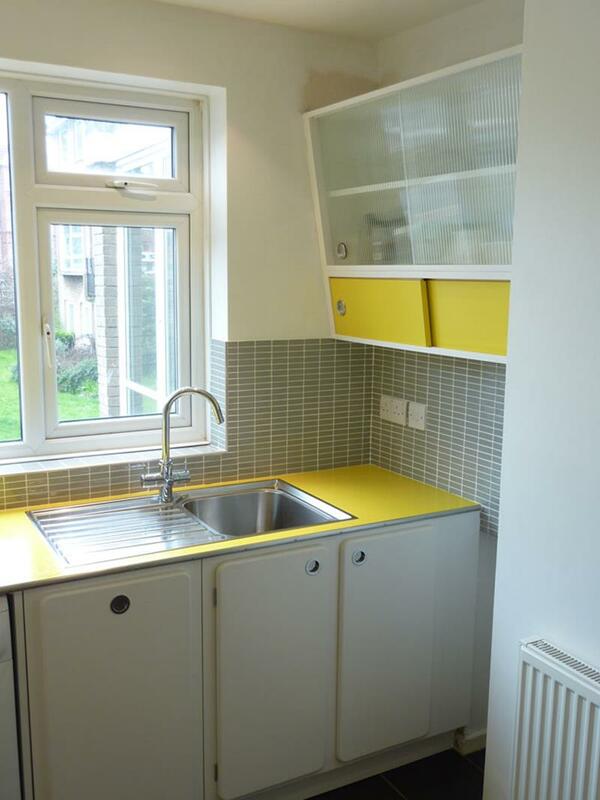 This kitchen is another example of how the rounded edges are an essential component of the retro kitchen design. 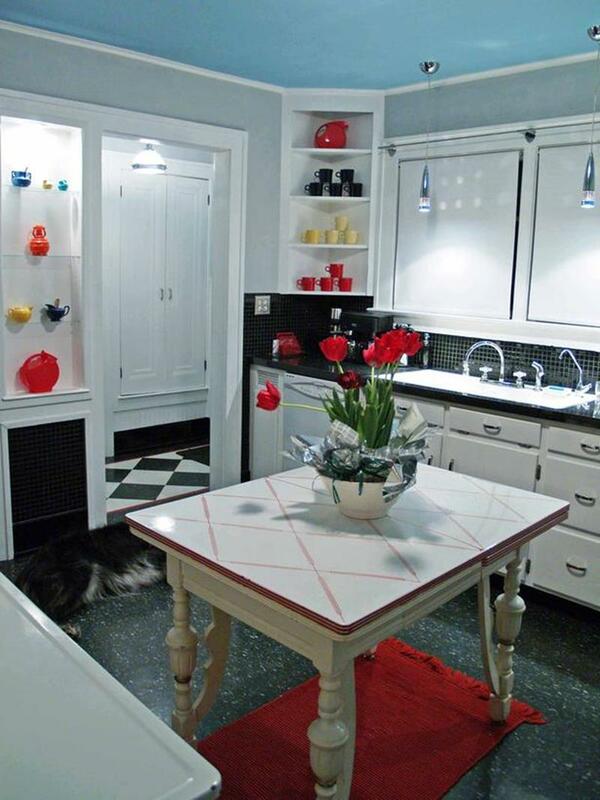 One thing that will be essential for your retro kitchen is selecting an appropriate and attractive kitchen table. 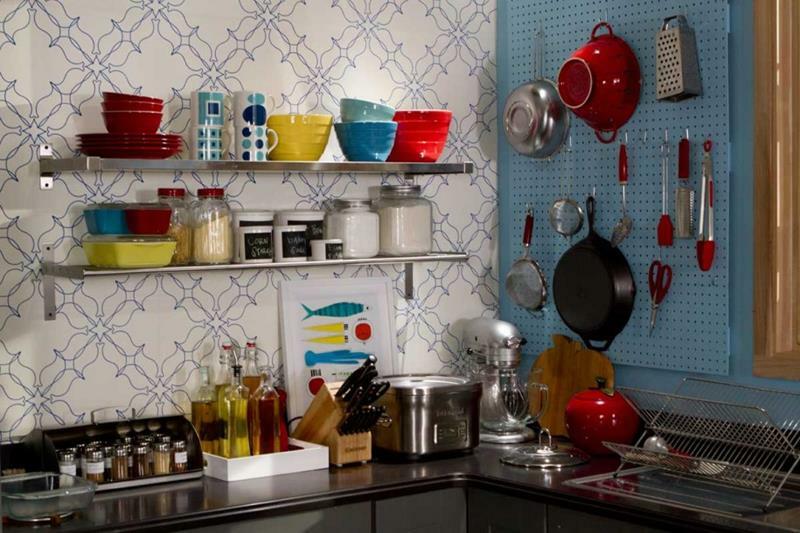 With a retro kitchen design, you’ll want to make sure that you’re outfitted with all of the right retro kitchen utensils.